Every shooter knows this “Having a sight is always important to get a perfect hit on the target. Everyone aims to hit the shot in a fraction of second. And here the traditional irons may not perform as desired. So, to get rid of this the makers have come up with the new sights or so-called red dot sight. The red dot sight gives you a much quicker way to aim at the shot and hit the target without getting it missed. Now, let’s dive in to know how to use a red dot sight. Red dot sights are straightforward and very easy to get on the target. 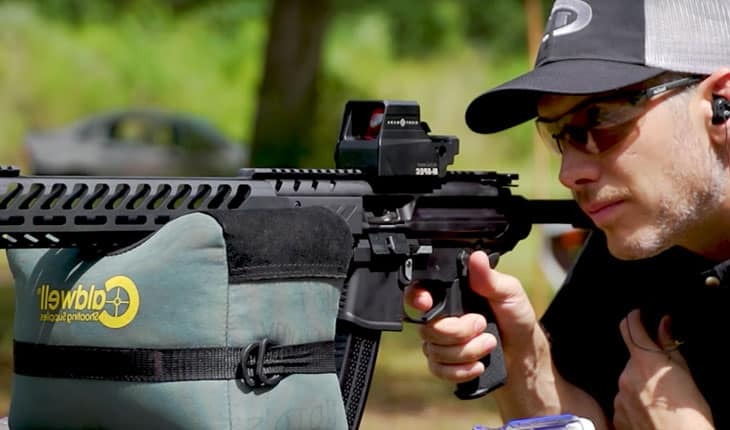 If you are a new shooter, the red dot sight is best for you. To use it, point the red dot at the target you want to, and you are good to go with the shot. Red dot can be easily changed from one weapon to another. They provide a massive amount of benefits to the handgun platform, and faster first shot advantage. If you search for the types of red dot, you will get several types, and they all have a different function to perform. Most red dots you will notice are made in a tube-like shape which is made for the full arm size. This red dot optics are designed in such a way that they are only used for the average range shooting, as these sights feature a 2 – 3 MOA red dot. Shooter also gets an option to mix up this standard Rifle Optics along a night vision or a magnifier so that he/she can cover more range by the red dot. When you talk about the miniature, the name suggests that you must be talking about the very smallest part. These very small red dots are made to be fitted on the pistol and the backup optic for standard rifle. Year by year these Miniature red dots are getting smaller and they will become an option for the CCW. As we have already talked that using a red dot scope is a straightforward job. So, you must have understood that sight must be quite easy for anyone to use. If you are thinking this, you are right. Everyone must be familiar with the Pepper ghost technology, the technology in which we use the pieces of the glass and a light. The red dot optic carries a spherical mirror which reflects the light that comes from an LED. This spherical mirror comes with the coating which will only reflect the red light. So, other lights would not hit or get reflected by this spherical mirror. To make this simpler, a beam of light is thrown on the spherical mirror, and this mirror reflects the light which creates the reticle. So, let’s get down to the section that discusses how to use a red dot scope. The red dot is a sight designed using which you can target at a moderate level ranges. The red dot optic is made with a much-uncomplicated way and uses a straightforward reticle to get the job done. The big advantage of using the red dot sight is that you can get faster to your target as compared to the magnified optics or the irons. This is because you get the reticle on the same plane as the target. So, when you focus on your target, the reticle comes into your focus automatically. You also get the reduced parallax. Parallax is the ability of the sight to move concerning the target when the eye goes behind the dot. We know in case of magnifying scope, the point of impact changes, but in case of a red dot, it is very negligible. Mostly when you buy a red dot, you will get the entire accessory attached to it, like Picatinny rail and other tools required to mount it. And sometimes, you may not get the tools like hex keys or Allan wrenches with the red dot. You must also buy the mounting plate to replace with the rear iron sight. While mounting the sight, you should mount the scope atop the receiver for the better stability. Tighten the scope to minimize the movement. Use the blue Loctite; so you can prevent the loosening of the scope during recoil. 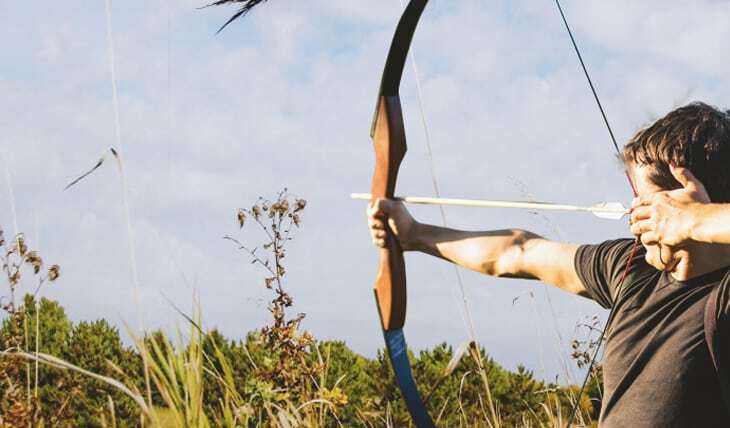 Set the target. Make sure you have set the target only up to25 yards, as 25 yards is called a close range sight which does not need a magnifier. Co-witness the sight. If you are carrying an iron sight along with you, it would be a positive point to use that for a co-witness tool to become zeroed in. Then, look at the reticle and make sure the target is lined up on the top of the post. If it is not, then the optic needs to be adjusted. If it refuses to sit atop that post directly, some adjustments (horizontal and vertical) would be needed for the dot to sit. Keep yourself steady. 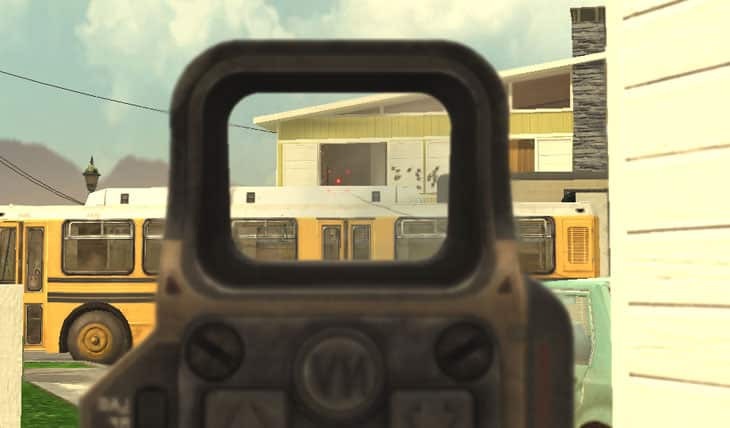 You have to look at the target through the reticle and point the red dot on the target. If all the steps above are done properly, you will accurately get the dot on the target. Once you have centered the dot, you can shoot a few test rounds. You can see your target which might be somewhere near to it. Then you can again adjust the dot until you get the perfect shot on the target. You must note one more feature of this dot which is that you can use the red dot up to 50,000 hours. As compared with the holographic sight which can last for just 500-1000 hours. Also, the red dot has the 2 MOA center dot. If you place a magnifier in front of a red dot, you will get the 6 MOA. In the case, you have a small window like a red dot on the pistol, and then you can get back of it to get a clear view of the shot. The answer to this question is yes. Now, you must be worried that above we have mentioned that you can use the red dot for the shorter range. So, you also need to get the point that there are many red dot optics which illuminate reticle which has a small magnifier. Also, you can mount a scope on the back of the reflex sight to get the more distance. You must be wondering which sight you can choose to mount on the back of the optics? 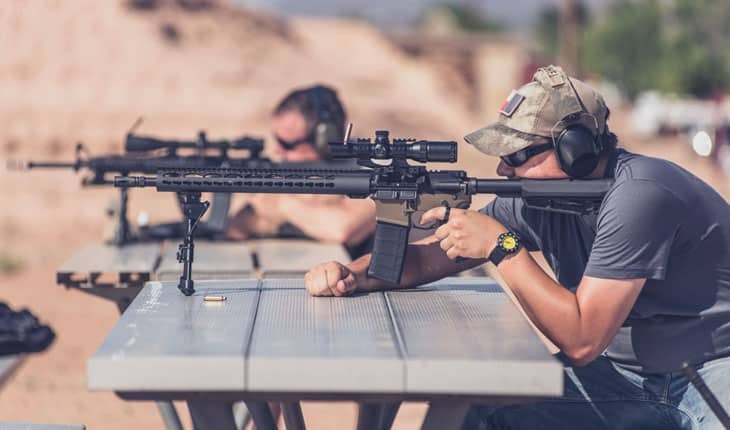 So, the answer to this is, the scope is always the personal preference of the shooter, but you should have a sight for yourself and follow all the steps to get a perfect shot and enjoy the shooting. Red dot or the small optics is often a good thing to use. And nowadays, we can see that the red dots are all over the market. So after learning how to use a red dot sight, you should spend some time choosing the right sight for your need.